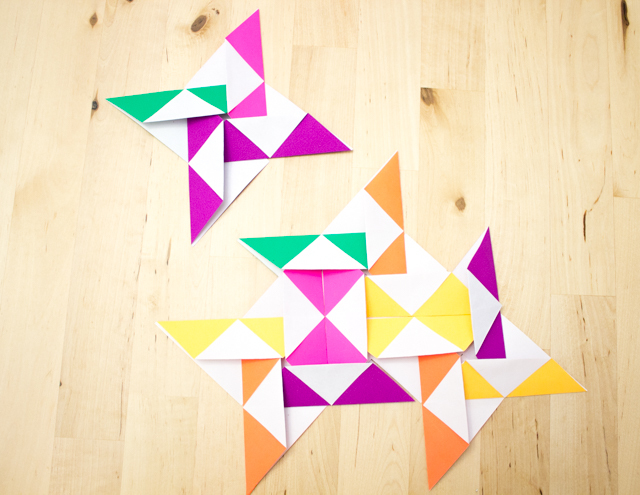 Full disclosure: We've been going on various origami book-hunting sprees at the library. This design is not my own. 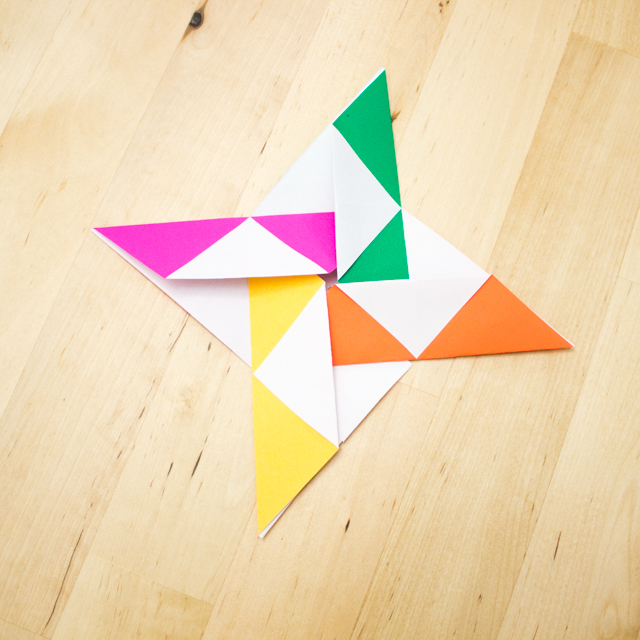 We found it in an older origami book. However, since we found this particular craft awhile ago, I've completely blanked on the title of the book. I'm so sorry! I will put it in here once I find it again. 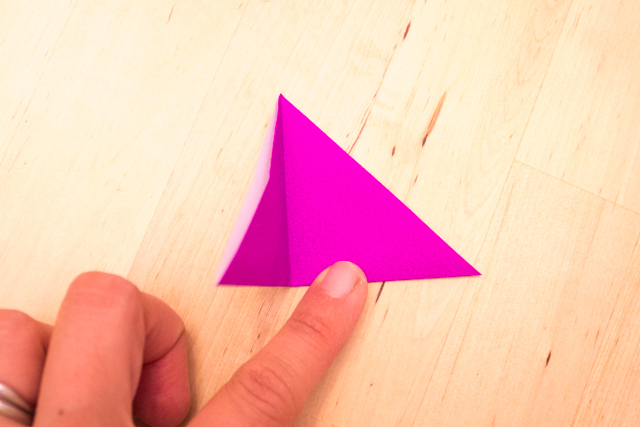 Take a piece of origami paper and fold it along the diagonal like this. 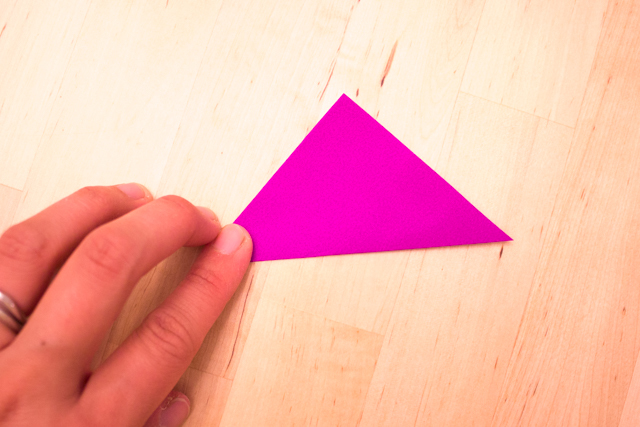 Then, fold down the tip of the triangle. Use a glue stick to hold the tip down. Make 20 units in total. 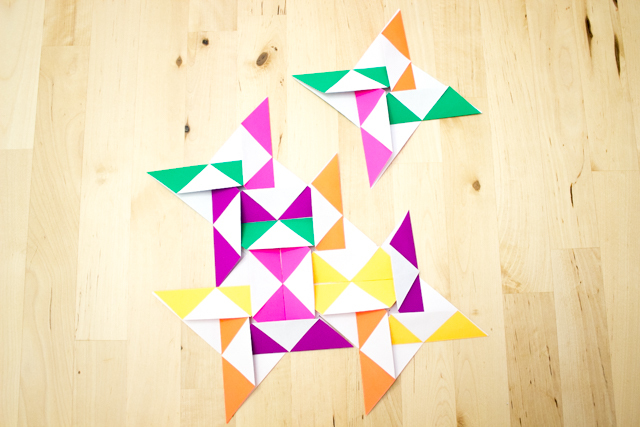 Now we're going to take our 20 units and use them to make 5 windmill pieces. Here's how we do that! 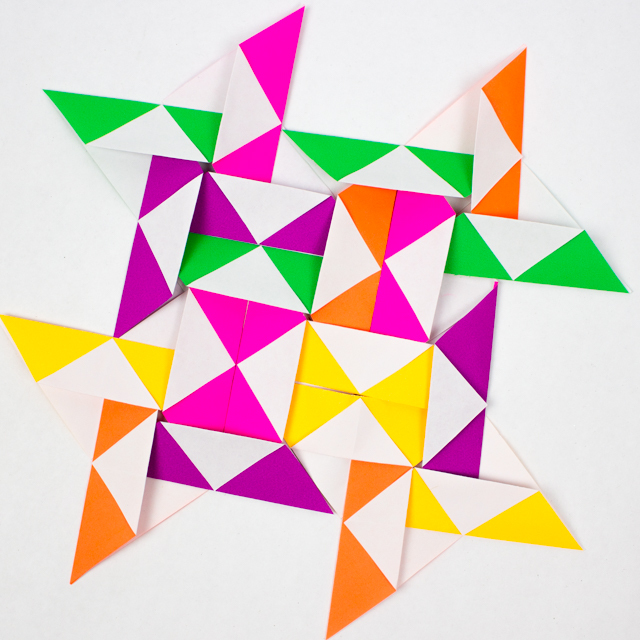 Now, attach another triangle in a similar manner. 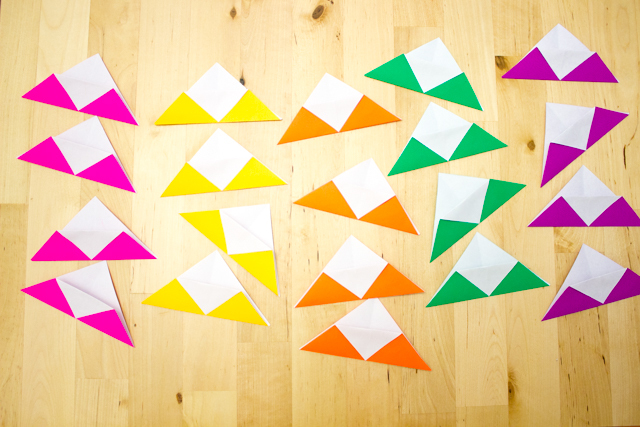 (This time the orange triangle slides into the yellow triangle.) 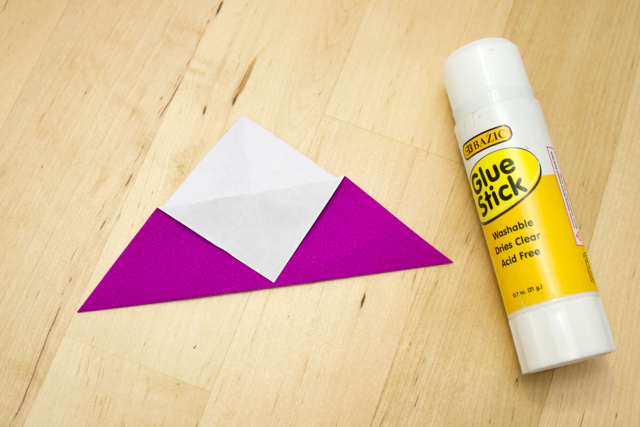 Use a glue stick to attach them together. Great! Now make 5 or these windmills. Finally! 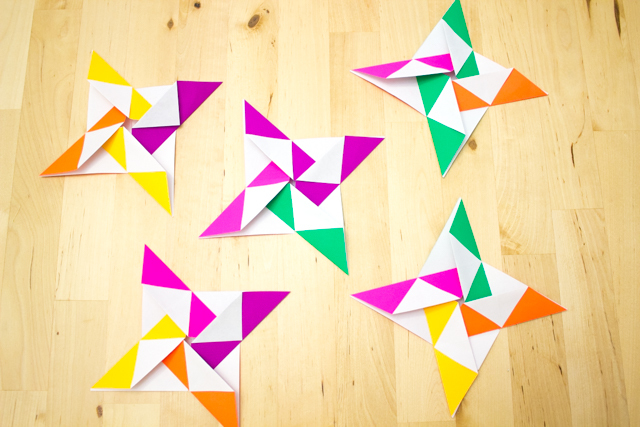 Let's Make a Paper Origami Quilt! Are you still reading this post? Awesome. This means that you're serious. Fortunately, we're almost done. 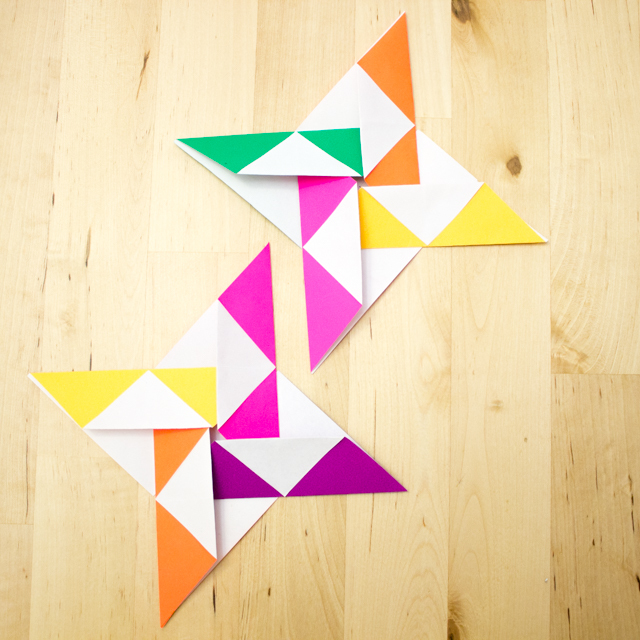 Now we're going to piece the windmills together to create a lovely paper origami quilt. And then slide them together! 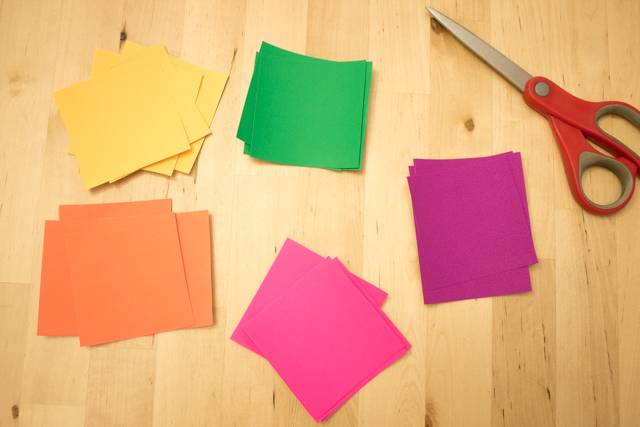 (Use a glue stick to attach them.) Then, grab another windmill and position it like so. 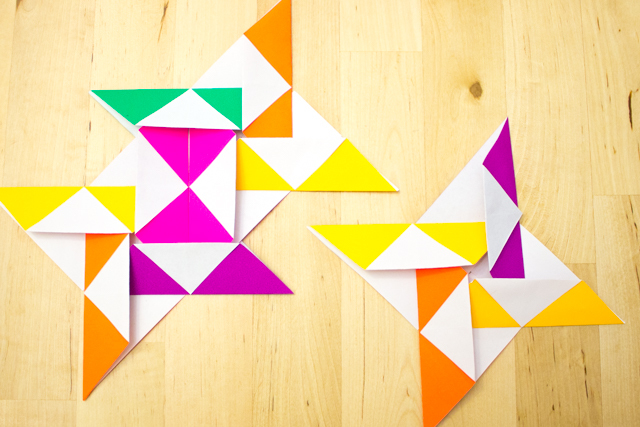 Slide the final triangles together and glue everything in to create this lovely design! Yes! You did it! 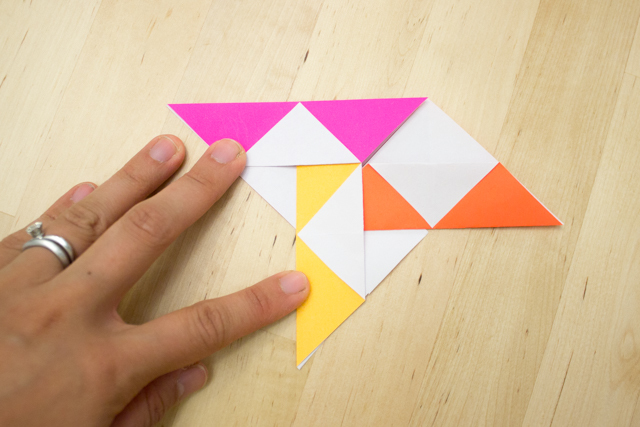 Shake a mighty fist in the air and shout, "I am an origami genius!" Go ahead I won't judge. Done? Ok! You can keep your design like this. 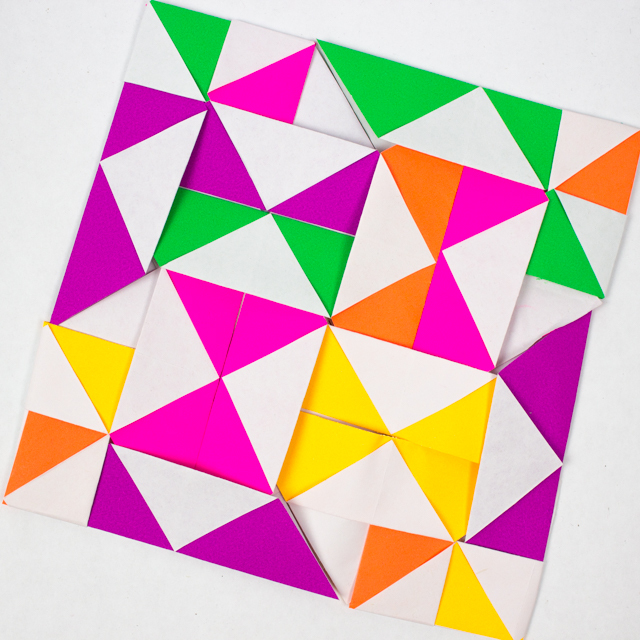 Or, you can make it look more like a quilt. 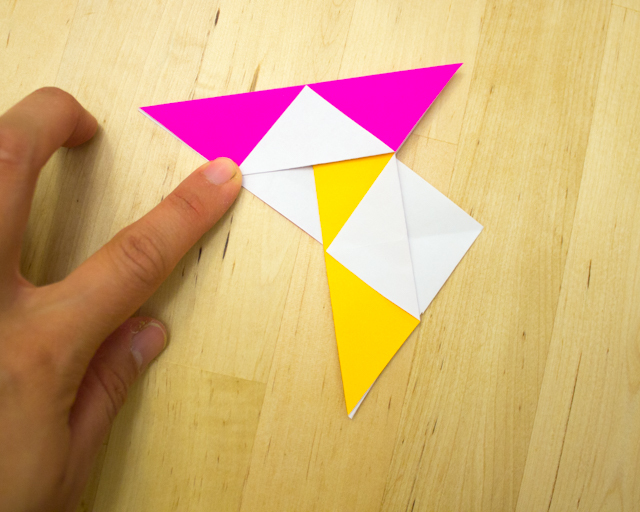 To do this, fold back the pieces that stick out. Use clear tape to secure them. 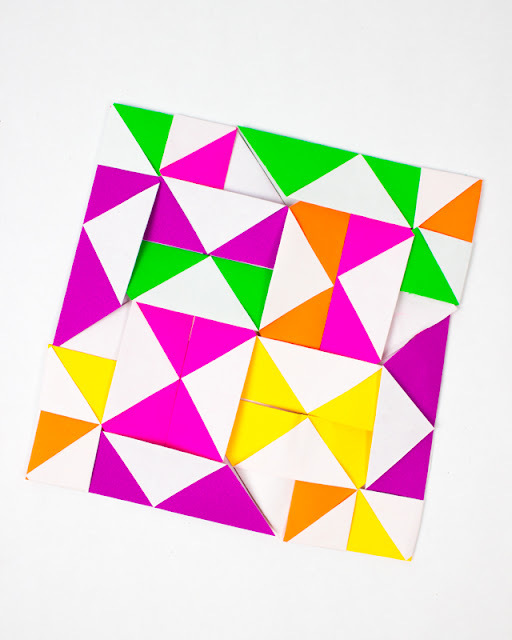 Hope you have fun trying out this combined math and art activity! And of course, if you're looking for more activities that combine math and art, check out the links below!